Judi Gaston recalls as a child poring over books with photographs of exotic places. 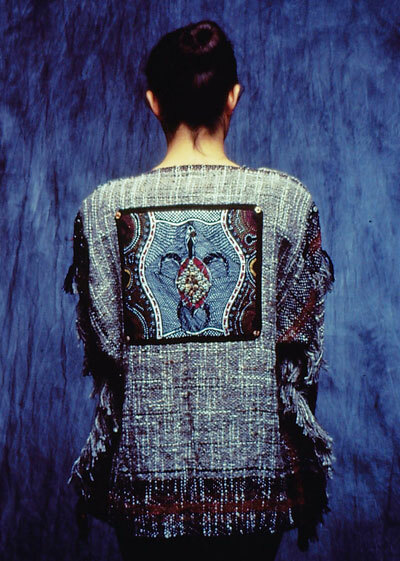 Now she seizes every opportunity to visit far away lands - Kenya, India, Peru, the Amazon Basin, Australia, Samoa... She tries to incorporate some of the contributions that these cultures have made, blending them in new and distinctive forms using old buttons, beads, patching, knotting and embroidery techniques in her woven clothing. 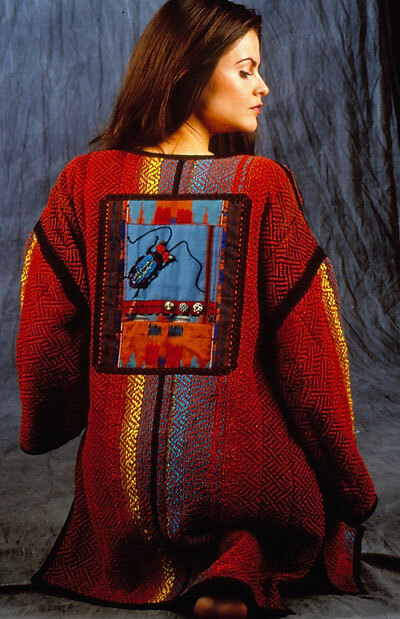 Along with her wearable fashions, she also designs a recycled wearable art series. She likes making wearables that have a history of having lived previous lives.